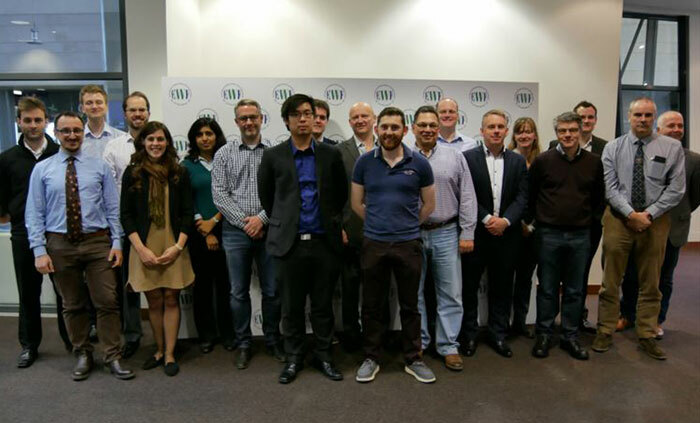 ENCOMPASS M24 Meeting – 2 years of success, one more to go! ENCOMPASS consortium has joined in November 2018 for its semester meeting. A lot is going on now, as all pieces of software are almost fully developed, it is integration work that is leading the path. All partners have been represented during the meeting, and a lot of fruitful discussions took place. Next step will be the validation of use cases. As usual, exploitation and dissemination were not forgotten – with the end of the project approaching the route to market is a key driver for the finalisation of the business plan. 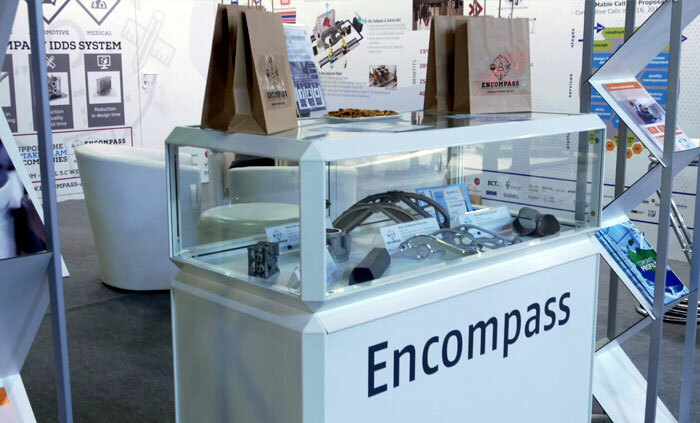 ENCOMPASS was present at the biggest Additive Manufacturing fair in Europe – FORMNEXT – (13th to 16th November) in Frankfurt, Germany. All the big players were represented and it was a big opportunity to capture interest in the project results. A joint workshop to “Support the uptake of AM in companies” with another EU funded project, AMable, took place in the fair. 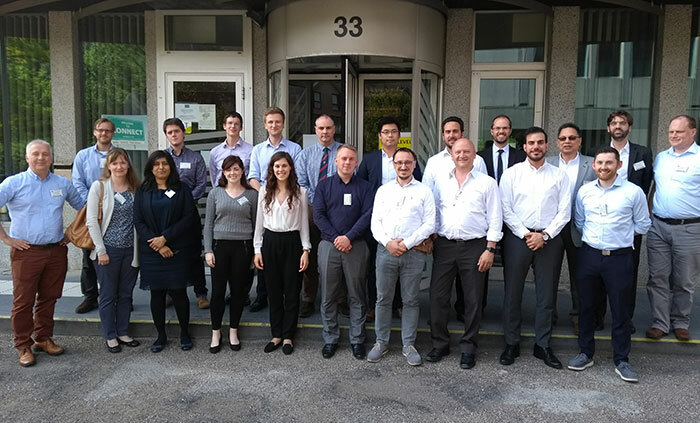 During 14th and 15th of May, the ENCOMPASS consortium had its mid-term project meeting and its review meeting with representatives from European Commission. 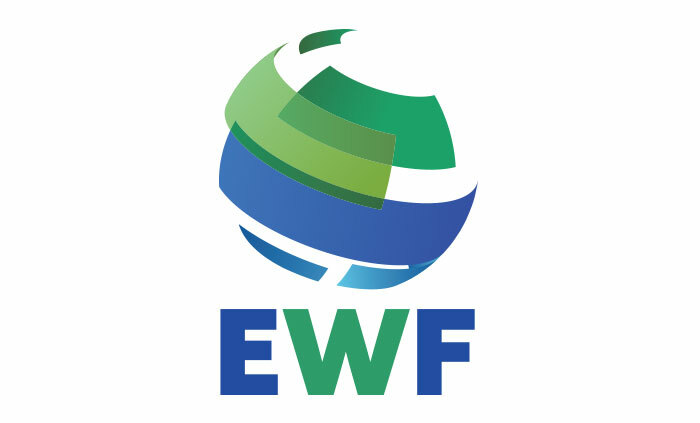 EWF has hosted ENCOMPASS’ 12th-month meeting on the 16th and 17th November, which took place at the TagusPark Congress Centre in Oeiras, Portugal. 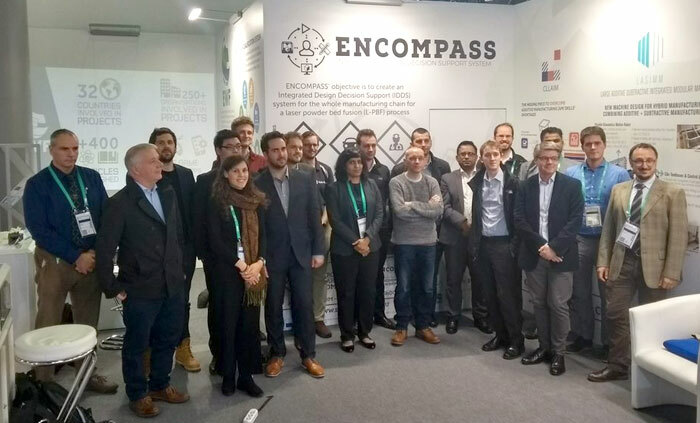 ENCOMPASS project aims to create an Integrated Design Decision Support - IDDS system for the whole manufacturing chain for a laser powder bed fusion - L-PBF process. On March 15th 2017 the partners involved in the ENCOMPASS project gathered together for the 6th month meeting to discuss about the progress of the Horizon2020 project. 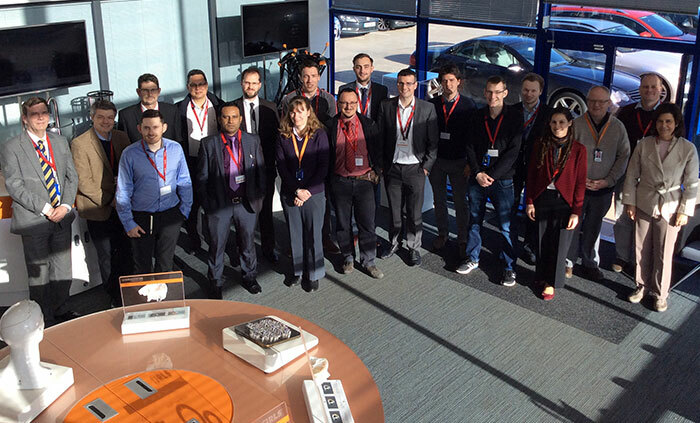 This project received funding from the European Union’s Horizon 2020 research and innovation programme under grant agreement No 723833, and is an initiative of the Photonics and Factories of the Future Public Private Partnership.